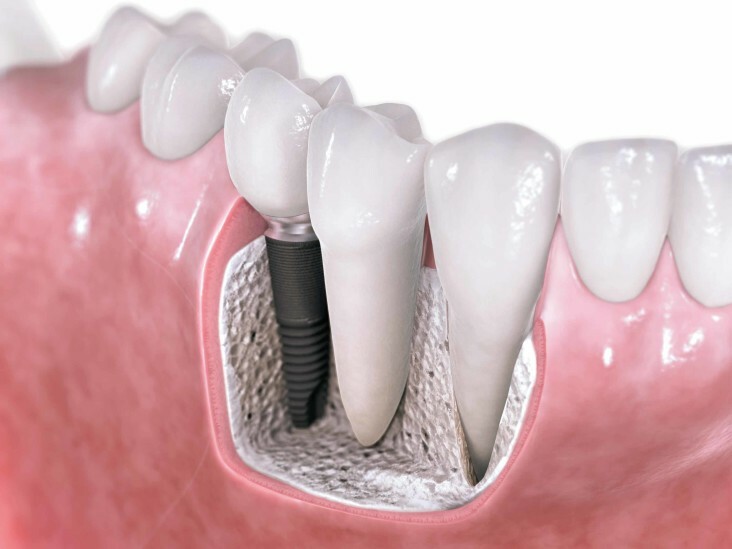 Dental implants the most long lasting permanent dental restoration being provided today. Replacing teeth with dental implants has distinct advantages over all other tooth replacement procedures. First, dental implants don’t decay, which makes them the longest lasting dental restoration possible. One of the most discouraging facts patients discover after undergoing extensive dental treatment is associated with new tooth decay in difficult to clean areas, which can result in having to redo or lose those previously restored teeth. Teeth that have had root canal treatment are the ones that fail more often than any other teeth, especially back teeth. Many patients are much better off to remove such teeth and replace them with dental implants than to waste money on root canal treatment and the associated crowns that are prone to failure, since many infected teeth become saturated with bacteria that can never be completely cleaned, even with the best root canal treatment.